Texas is one of those places you hear lots about but don’t know if it will quite live up to its big reputation. My fiancé and I flew out to Austin to start our road trip around the Lone Star State – and what an adventure it turned out to be. 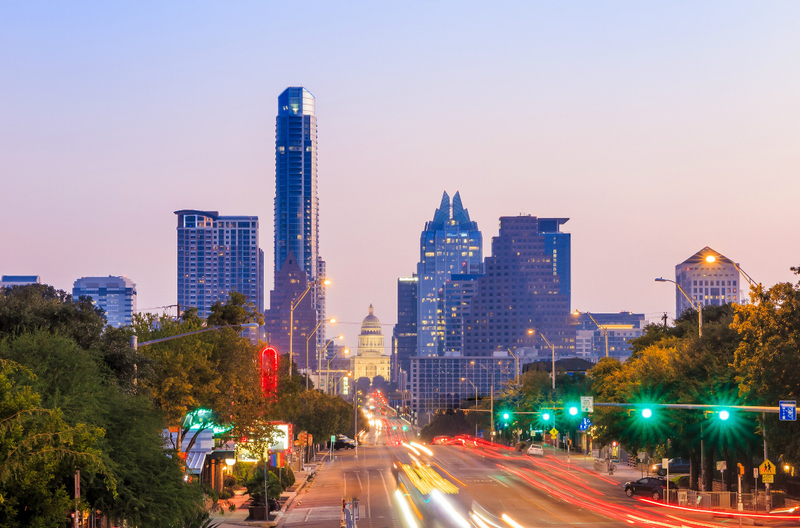 Austin is best known for the hugely popular South by Southwest music festival. And also, as we found out, the fourth-worst traffic in the U.S.
We spent two great fun-filled nights in the Texas state capital before we picked up our hire car to hit the road for the first time. I did all the driving and, having never driven in America before, was more than a little nervous. And we quickly got to experience the notorious Austin traffic jams for ourselves. 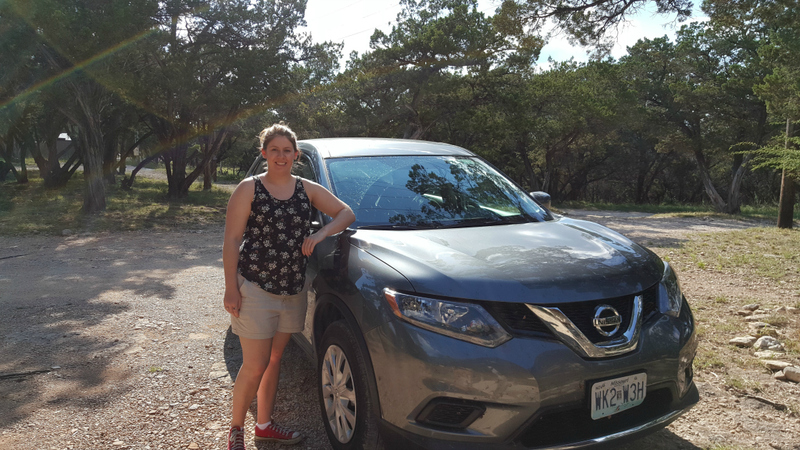 It was a bit daunting given that cars in Texas are typically four times the size of the ones in the UK, but I had made sure to get the very decently-sized Nissan Rogue SUV and soon began to feel more comfortable. Luckily heavy traffic means a slow-moving freeway – so my introduction to American motoring was a gentle one. A strange thing we noticed while making our way to Bandera – a two–and-a-half-hour drive south – were the amount of moths emerging from long grass surrounding the roads. The poor critters met a messy end on my windshield most of the time, so I was thankful that Hertz had made sure my screen wash was full. We enjoyed some beautiful vistas before arriving at the Mayan Dude Ranch in Bandera without a hitch. It’s an amazing place where you can have your own little cabin in the woods to stay in and enjoy hay rides and horseback trails. Just one night there wasn’t enough, but there was more Texas to see so we jumped back in our trusty SUV and headed to Fredericksburg – about an hour away. This small city is completely charming with its German heritage still shining through, over a century after immigrants first settled here. 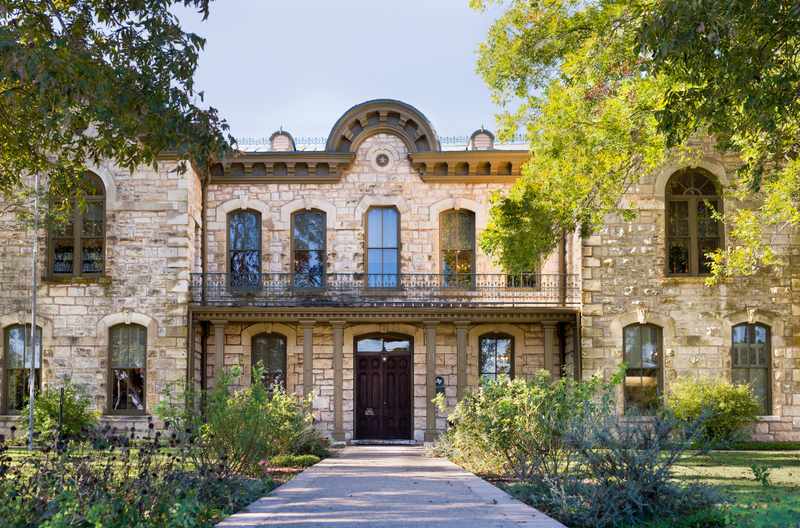 It sits in the heart of Texas Hill Country, which delivers stunning scenery and ideal vineyard conditions. We got a great night’s sleep at a bed and breakfast before heading out on the biggest leg of our road trip – an epic three-hour drive to the Wildcatter Ranch and Spa in Graham. I absolutely loved this part of our journey as I was now confident with my driving, and realised it really is quite easy after a while. We pulled over a couple of times to get some snaps of the never-ending road spread out in front of us in the dazzling sunshine. It now truly felt like we were in the Texas you see in the movies. 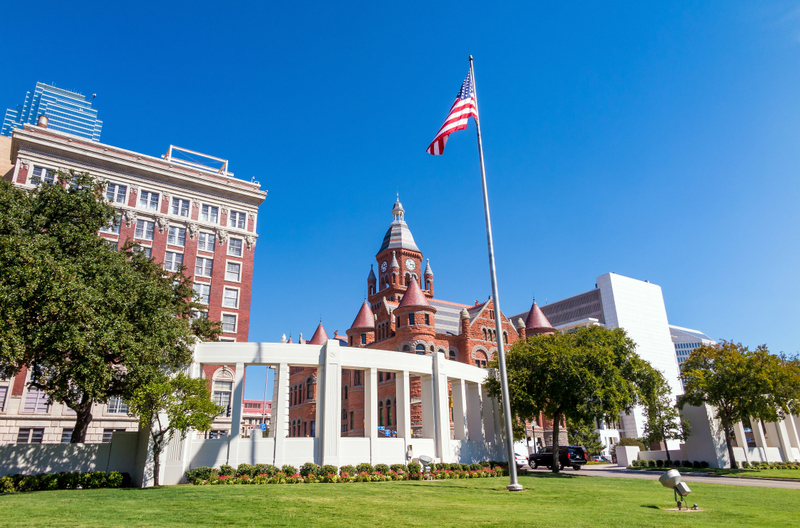 The drive to our next stop – Dallas – was really enjoyable and it’s a fascinating place, especially with all the history of the JFK assassination. We visited the Sixth Floor Museum in the old Texas School Book Depository, where Lee Harvey Oswald – depending on what theory you believe – fatally shot the President in 1963. Our next stop was at Fort Worth. The city claims it’s ‘Where the West Begins’ and it was a lovely surprise. A mix of old and new, there is some amazing history to be discovered at the stockyards where cowboys used to bring their cattle. As well as a lively arts scene, there are great restaurants around every corner. It was a wrench to leave but the easy drive to Dallas Fort Worth Airport made for a relaxing end to our trip. I can’t wait to get back out to America and back on the open road.